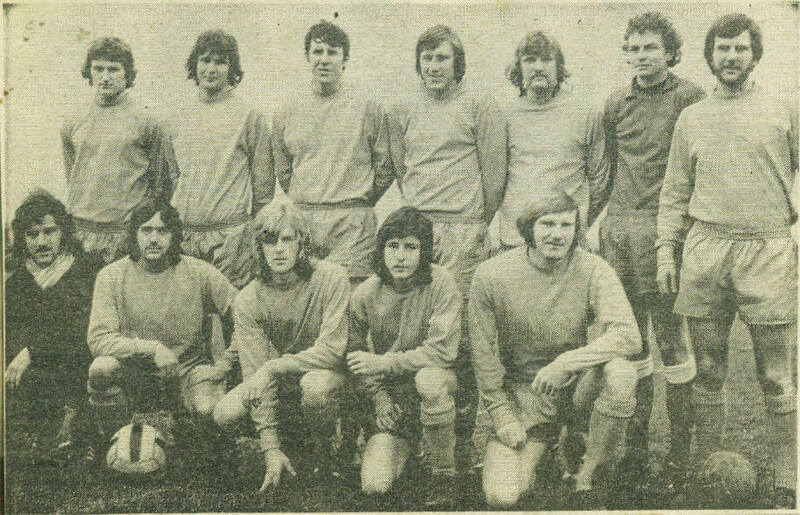 Dover Reserves pictured on Saturday, 5th.January, 1974, at Spinney Lane, Aylesham, before the 1-1 Kent League draw with Snowdown C.W. Keith Down scored our goal with a penalty. Back row (left to right): Charlie Donohue, Geoff Curtis, Mick Tedder, Mick Kemp, Taffy Toop, Richard Green, Dave Moat. Front row (left to right): Alan Freeman, Howard Moat, Peter Wash, Nigel Watson, Keith Down.